Our duck magret and confit gift box is perfect for feeding guests with a taste for duck, or an easy way to stock up on two of our signature duck products. Great for friends, family and foodies, this gift is conveniently packaged in a D'Artagnan gift box along with a brochure explaining each of the products and offering cooking/serving tips. Note: Please see individual product pages for nutrition, allergens, and more detailed information. Duck confit is a vital ingredient in cassoulet, but it's actually quite versatile. Put the fully-cooked duck leg in the broiler while you toss a salad and- voilà! - dinner can be ready in 20 minutes. Shred duck confit for quesadillas, tacos or tamales, or to add to a chopped salad. Duck magret can be grilled outdoors or pan seared on hot cast iron and will be ready to serve in 30 minutes. Replace steak with duck breast (sometimes called "duck steak") for a sophisticated, yet simple, meal. 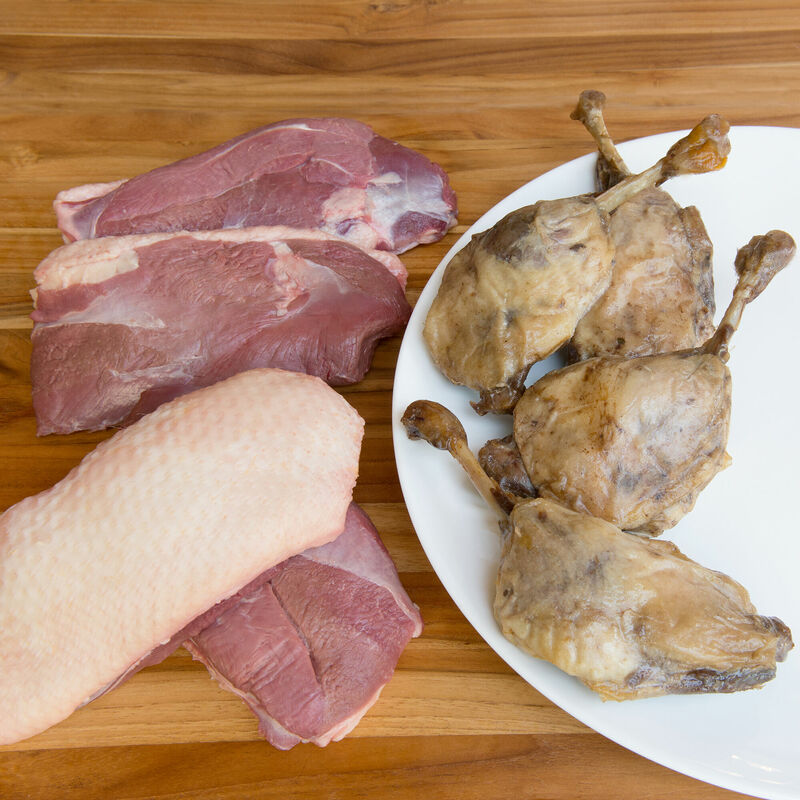 You'll look like a culinary whiz when you serve duck to your friends and family.